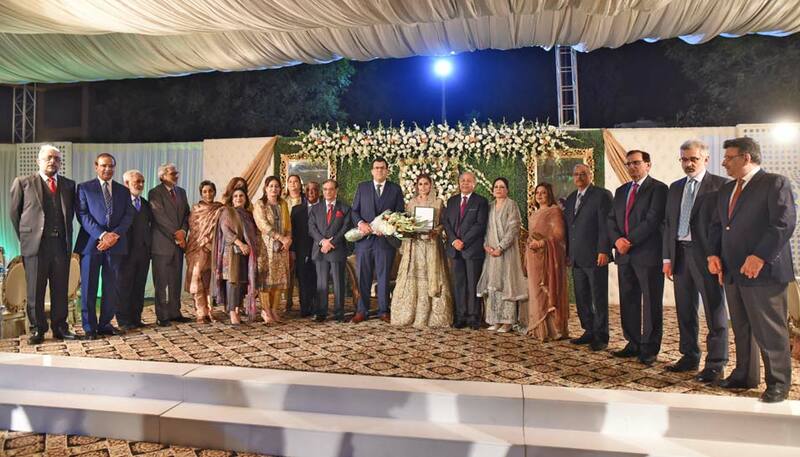 On the 8th of December 2017, a group of Saudi Aramcons (current and retired) gathered in Karachi, Pakistan to celebrate the wedding ceremony of Isra Arif, daughter of Arif Qamar #74444. Arif Qamar took an early retirement from his role as Sr. Planner, Southern Area Community Services Department in May 2010. He worked as a Saudi Aramco employee for 32 years. Arif Qamar was an active member of Abqaiq Saudi Aramco Employees Association (SAEA) and enjoyed organizing many of the events for the community. He has been a captain, Vice Captain, and Coach of the Abqaiq Senior Cricket Team. He was also the founder of the Abqaiq Junior (dependent) Cricket Team. In addition, Arif Qamar was the President, Secretary, and Treasurer of Abqaiq Tennis Club and the Coach of the Junior Tennis Club from 1995 until the day of his retirement. Arif Qamar now resides in Karachi, Pakistan and is an active member of the Saudi Aramco Ex-Employees Association (SAEEA). Family of late Ghulam Sama (Abqaiq Plants). Isra started her journey from Abqaiq Academy and graduated from there in 2004, after which she attended the Grier School in Tyrone, Pennsylvania. She earned her Bachelor’s degree in Psychology and Sociology in 2011 from Southern Arkansas University in Magnolia, Arkansas. She now works as an Academic Coordinator at an A Level College located in Karachi, Pakistan. During her time in Abqaiq, Isra interned and volunteered as a returning student in several places such as Abqaiq Library, Abqaiq Maintenance &amp Renovation Dept., Training Center and Abqaiq Customer Care Center. Isra’s husband, Saad Ahmed, got his MSc in Sustainable Power Technology from the University of South Wales, United Kingdom. He’s currently working as a Power and Energy Engineer at Getz Pharmaceuticals Private Ltd., in Karachi, Pakistan. 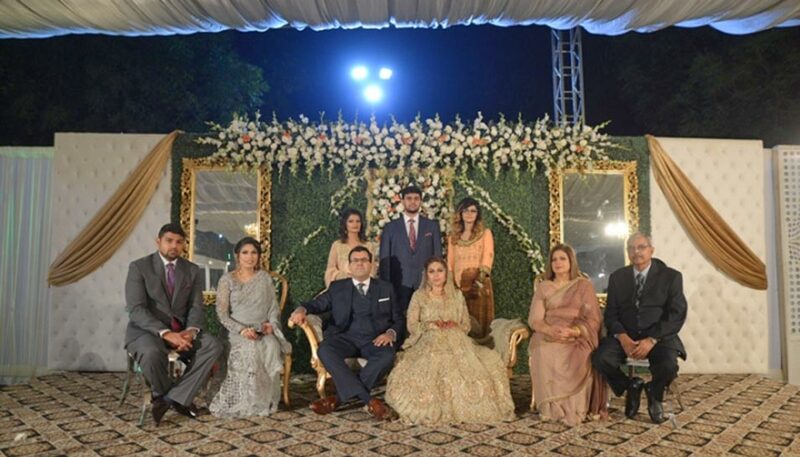 SAEEA wish Isra and Saad a very Happy and prosperous married life with a very bright future.